Dr. Esses has been a registered clinical psychologist for nearly thirty years. She did her undergraduate honours degree in psychology at the University of Toronto from 1969 to 1973 and then attended graduate school on scholarship at McGill University where she received her doctoral degree in clinical psychology in 1978. 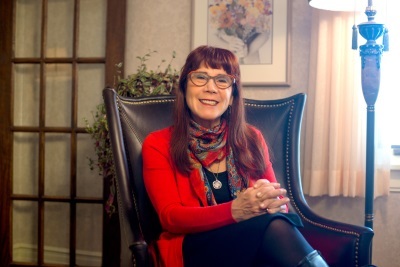 During her graduate years, she trained in behaviour therapy, psychodynamic therapy and studied at one of the first family therapy centres in Canada, The Family Institute, located at the Jewish General Hospital in Montreal. Immediately upon graduating, Dr. Esses was hired by the Department of Psychology at the University of Manitoba and served on faculty first as an Assistant Professor and then as an Associate Professor. Over the next ten years (1978-1988), she designed a multidisciplinary family therapy training program for graduate students in psychology, social work, psychiatry and educational psychology. She also taught undergraduate courses in personality, abnormal psychology and the psychology of women. She was granted tenure and also received a corresponding faculty position with the Department of Psychiatry. In 1988, after a decade of teaching, training therapists and doing research, she decided that her first love was working directly with clients herself and so chose to leave her post at the university in order to start a full-time private practice. Dr. Esses continues to teach and give workshops on occasion; she also supervises therapists in training and consults to hospitals, business and mental health organizations.